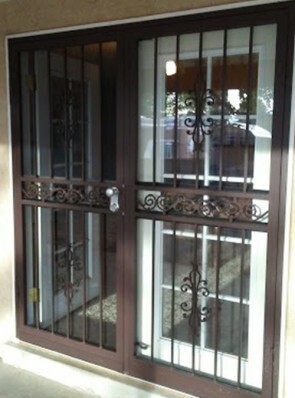 The Barnett Aldon security storm double doors are highly rated for their strength and beauty. 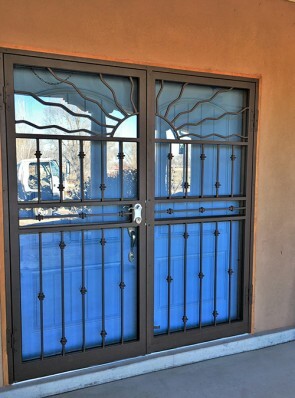 The primary purposes of security storm double doors are to act as a deterrent to unwanted entry and allow you to welcome friends while providing a safe way to identify strangers. 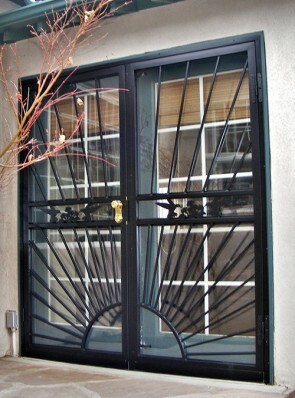 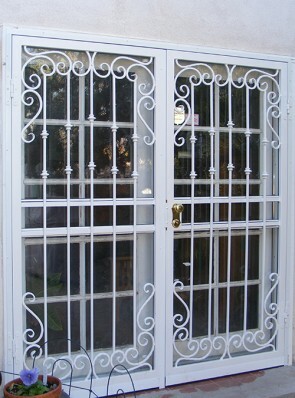 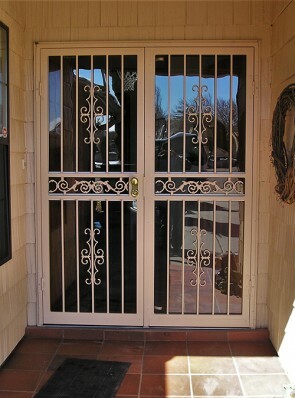 The Barnett Aldon Ironworks security storm double doors bring superior security and convenience. 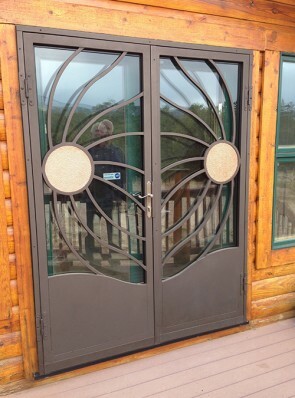 The doors have tempered safety glass, meaning you can open your inner doors to allow natural light into your home without compromising safety. 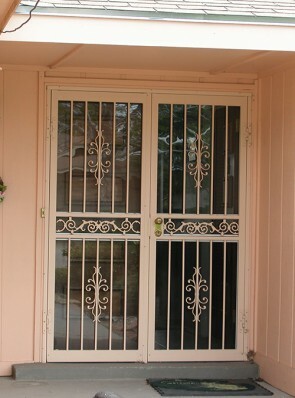 The glass panels in the upper half of the doors can be removed in summer and replaced with screens to allow for better ventilation. 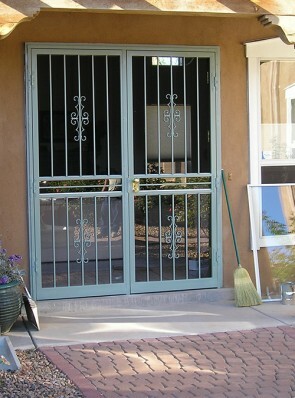 The edges of each door are fitted with tight-sealing felt weather strip. 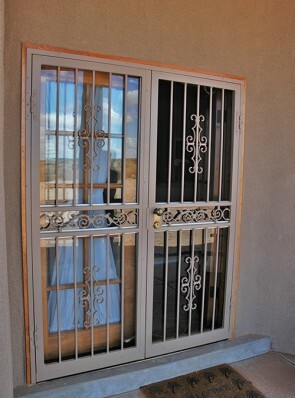 This prevents air from leaking out improving your home’s energy efficiency while keeping you and your family comfortable and secure.